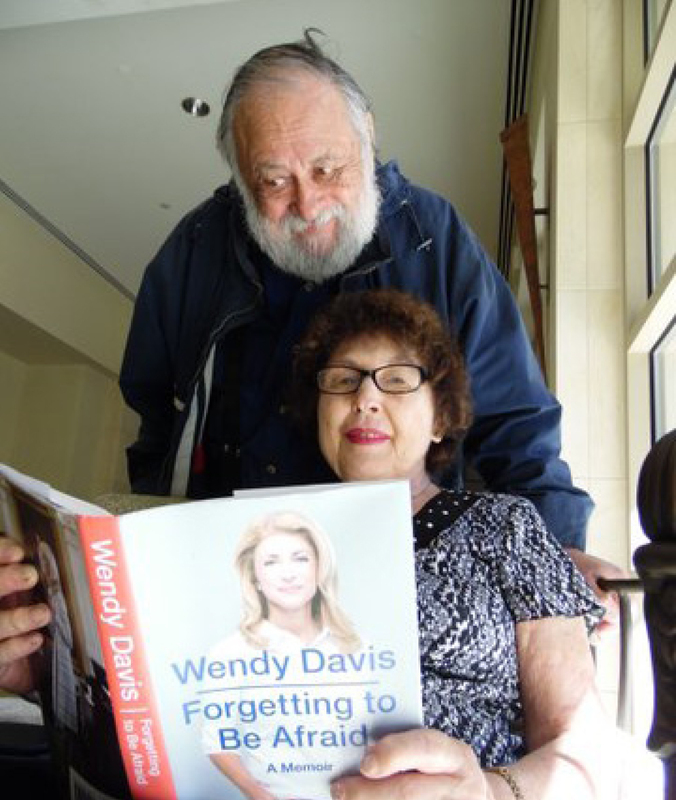 If you have read Wendy Davis’ book, “Forgetting to be Afraid,” you may remember a part where she talks about her part time job at age 15. What you may not know, is that part time job was in the pediatrics office of Drs. Barry Bzostek and Julian Haber the duo behind H&B Pediatrics. I learned this last week, from Dallasite Jan Naxon, who traveled to Fort Worth along with former Cowtowner Carole Cohen to hear Jim Riddlesburger’s election analysis. Cohen and Naxon have been active in Davis’ campaign for governor. Debby Rice tells me that everyone is invited to the first film in Congregation Ahavath Sholom’s 2014-2015 Showtimes film festival at 6:30 p.m., Sunday, Nov. 2, at the shul, 4050 S. Hulen St. “The Other Son” is a moving and provocative tale of two young men — one Israeli, the other Palestinian — who discover they were accidentally switched at birth, and the complex repercussions facing them and their respective families. A discussion will follow the screening. The 2014-2015 Showtimes Series films have been carefully chosen to interest everyone. Moderators will lead the discussions after each film. There is no cost, the films are Ahavath Sholom’s gift to the community and the popcorn and cold drinks are complimentary. A special “Thank You” to the Jewish Federation of Fort Worth and Tarrant County for supporting the CAS 2014-2015 Showtimes Film Series. Without their help, the show would not go on. Showtimes committee members are Liz Chesser, Hedy Collins, Kim Goldberg, Lisa Laudato, Foster Owen, Jane Guzman Pawgan, Debby Rice, Reggie Rog, Jayna Sosland, Jim Stansbury, Sheila Stocker, Roz Vaden, Men’s Club President Sonny Brister and Cong. Ahavath Sholom President Ebi Lavi. For more information please call Congregation Ahavath Sholom at 817-731-4721. We all know about Shabbat. The Jewish people are commanded to observe Shabbat in the fourth commandment, yet the Torah doesn’t seem to give clear indication of how this ought to be done. Jewish people of different backgrounds claim that they interpret the laws differently and therefore observe it differently. In this course, an Advanced Tier II Talmudic course from JLI, Rabbi Dov Mandel will delve deeply into the ocean of the Talmud, and explore the roots of Shabbat, and in the process, you will become familiar with the ancient methods of interpreting and understanding Jewish law through the Talmud. The course will launch at 7:30 p.m., Wednesday, Nov. 5, at the Sonnenschein Chabad Jewish Center. It will be spread out over 10 weeks throughout the fall and winter. The cost is $120, which can be paid in one or two installments, and includes the workbook. To sign up, please visit www.chabadfortworth.com/donate and choose the JLI Studies in Talmud tab under purpose. Alternatively, you may pay by check at the first class. 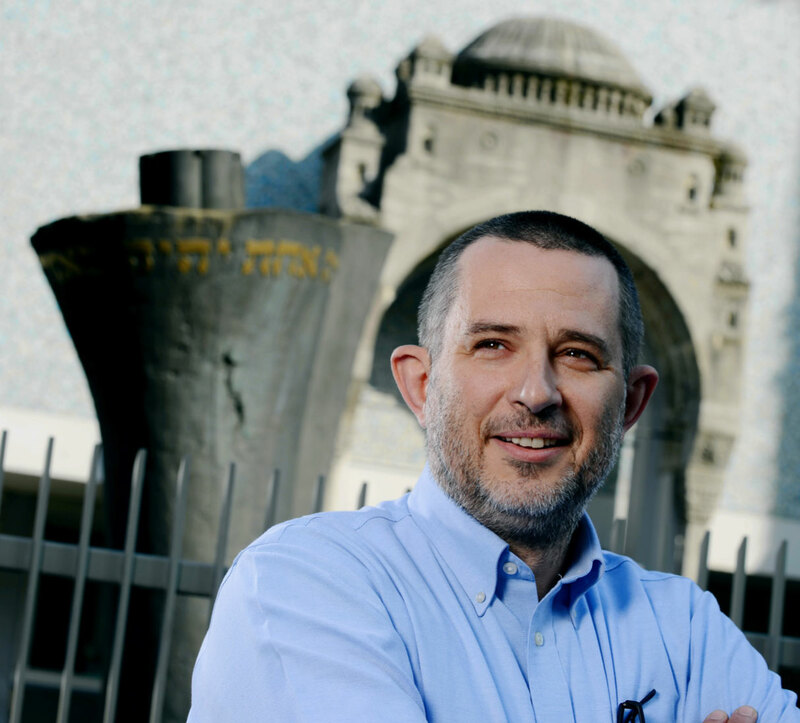 Rabbi Andrew Bloom will lead a trip to Israel next summer June 15 – 25 for members of Congregation Ahavath Sholom and others who would like to join him. On this outstanding journey, you will have the opportunity to explore the many faces that make up multicultural Israel; enrich your knowledge of Jewish and ancient history; enjoy outdoor adventures and the beauty of the land itself; encounter firsthand the modern miracle of the State of Israel, immerse yourself in Israeli culture — art, food and wine, and engage with the communities of Israel. Read the full itinerary and book online at: www.ayelet.com/BloomJune2015.aspx. The deadline to sign up is Dec. 15, 2014. Speaking of Rabbi Andrew Bloom, he was kind enough to send me a review copy of his new book, “Two Minutes of Traditions: Torah and Life Lessons for People on the Go.” I was intrigued by the title, because it seemed to capture my essence. I rarely have time to actually read books anymore. I am relegated to listening to them on my iPhone, while I’m shlepping kids from place to place cooking or making a feebile attempt to workout. I picked the book up and peruse the pages, and the next thing I knew 30 minutes had passed. I was instantly captivated and I look forward to sharing more about “Two Minutes of Traditions,” when I’ve had a chance to dig a little deeper. Yasher Koach Rabbi Bloom, you got me to stop and read the pages! I look forward to more. If Judaism had saints, I would be highly tempted to nominate Dietrich Bonhoeffer. But since we don’t, the best I can do is to tell you why I think he’s a candidate for Jewish appreciation. The American Luther Research Center, headquartered here in Dallas, has been sponsoring a series of annual lectures as a lead-up to 2017 when there will be worldwide recognition of Martin Luther’s revolution against his own Catholic church, the action that resulted in the Protestant Reformation. Bonhoeffer was the core of this lecture, fourth in the series. People of many faiths know that Luther, a German priest, took issue with certain Catholic practices of his day, especially “indulgences” — the then-common way for believers to buy their way out of church-ordained punishments for their sins. On Halloween in 1517, he hammered his famed “95 Theses” onto the door of the Castle Church of Wittenberg. Without a rescuer God, humans must take their own power seriously. And this is what Bonhoeffer did as Adolf Hitler rose to his own powerful heights: He publicly warned the German people that they were being asked to give over their souls to someone who wanted total worship from them. When Hitler’s “State Church” barred men with any Jewish connection from serving as its pastors, Bonhoeffer developed his opposing “Confessing Church” and began to train new young pastors. The Nazis closed down his seminary in 1937, but Bonhoeffer kept on educating students illegally to lead a religion criticizing the existing church — just as Luther had done so long before him. In 1940, the Gestapo barred him from public speaking or preaching, and declared all his writings illegal. Another three years passed before Bonhoeffer was actually arrested and sent to Buchenwald for trying to help escaping Jews. But a connection between him and an unsuccessful attempt on Hitler’s life resulted in an execution ordered by the Fuhrer himself. On April 9, 1945, just a short time before Allied liberation, he was hanged at Flossenburg prison — a martyr to freedom of religious thought and action at age 41. Rasmussen also likened Bonhoeffer to the modern-day Luther — MLK Jr., — as well as the historic one: all three believed that people shouldn’t go only to God when they are in trouble, but must also find power in their own abilities. He called Bonhoeffer’s approach to Christianity “an ethic of responsibility” that has environmental as well as religious connections in our current age. Bonhoeffer has never been a candidate for Yad Vashem recognition as a Righteous Gentile because he never saved any specific individual Jew or group of Jews. But he willingly gave up his life for a cause — that of on-site opposition to the man, and the regime, that killed so many of us. He went to his death saying that “suffering has become a better key for understanding the world than happiness has ever been.” Had he been a Catholic instead of a Lutheran, I think Dietrich Bonhoeffer would already be an officially recognized saint. Every week, after meeting my deadline, I give a great deal of thought to the following week’s column. On frequent occasions, I’ve shared a bit about growing up in Fort Worth and brought the TJP readers into the world I remember some 60 plus years ago. I have lost contact with many friends from childhood and young adulthood — those friendships were some of the threads of the tapestry that has shaped my life. Always curious, I’ve wondered where many of my classmates and friends wandered, for they were weaving their own tapestries. It seemed that our tapestries led us in different directions, which shaped our adult selves. The “boys” were orderly, neat, and well behaved and as I said very, very smart. Dr. White was an optometrist, who was quiet, thoughtful and skilled at his profession. I can remember having my eyes checked at his office on Hemphill in Fort Worth. They created a family who were dedicated to each other and to their Orthodox traditions. At the synagogue, I was introduced to Bernie and Joan’s son-in-law, Dr. Shelley Weiss, a pediatrician at Medical City Dallas. This was the first time that I had a glimpse into the next generation of the White/Weiss Family — or any adult offspring of my Fort Worth contemporaries and memories. Shelley Weiss, M.D., the son of Judy and David Weiss, was reared in Chicago and attended Jewish Day School. He has two brothers. He set his sights for Washington University in St. Louis as his choice for college. In the meantime, Bernie and his wife, Joan had moved to Houston. Their daughter, Simma, grew up in Houston and was a student at Bellaire High School. Dr. Shelley Weiss and Dr. Simma Weiss will celebrate 10 years of Healthy Texan Pediatrics and Family Medicine at Medical City. This was an interesting interview for me, as I believe that it is the first time that I have interviewed a couple. Simma and Shelley complete each other’s sentences and stated the same thoughts at exactly the same time. The two graduated from Wash U. together, Simma with a BS in Chemical Engineering and minors in Biology and Jewish Studies. Shelley graduated with an AB in Biology with minors in Physics and Jewish Studies. The couple were married the summer following their graduation. Shelley always had the desire to become a pediatrician, and both he and Simma applied to Rush University Medical School in Chicago and were accepted. Following their years in medical school they applied for a couple’s match for residency with a Parkland/Children’s combination — Shelley with Pediatrics and Simma, a Family Medicine Residency at Parkland Hospital. The couple’s first son, Yosef, 12, was born at the end of their residencies. They are also parents to Ephraim, 10, and Mordechai, 8. Shelley worked in Fort Worth for a few years, but the long commute became tedious. In medical school, Shelley and Simma always fantasized about practicing together. In November 2004, Healthy Texans Pediatrics and Family Medicine was born, adding to the family’s nachas. 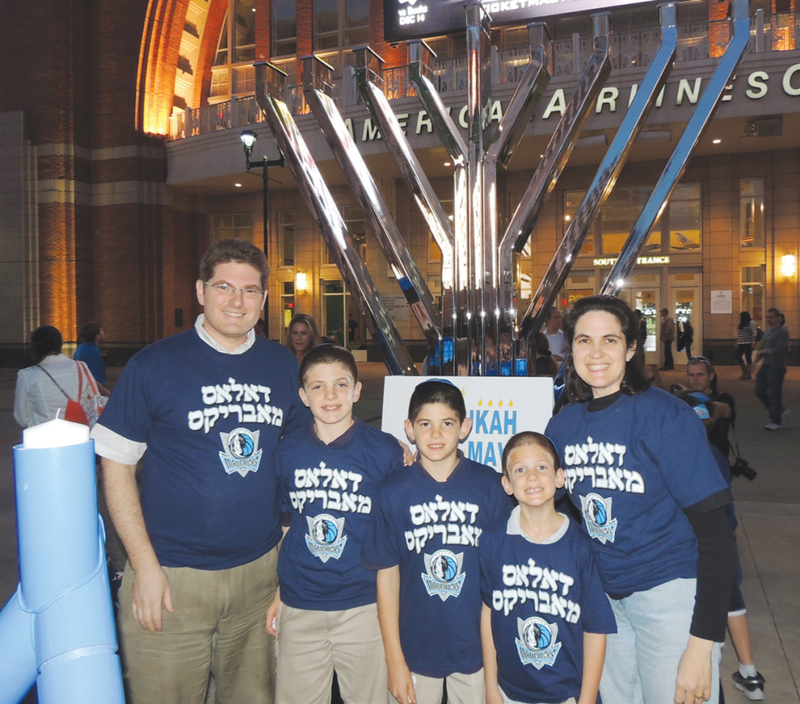 The two researched locations tirelessly, wanting to be in the heart of the Dallas Jewish Community — thus the Medical City Dallas location was chosen. I had to ask the couple a few questions. I asked about their hobbies, which by no coincidence seem to intertwine. Simma enjoys needlepoint and crocheting (a bond that she shared with her maternal grandmother); Shelley designs the needlepoint and crochet patterns that Simma lovingly creates. Simma crochets kippot for close friends and relatives. Simma said that “Shelley has been making his own dough for fresh pizza,” which they have every Sunday morning at a special time. Simma and Shelley are active members of Congregations Shaare Tefilla and Ohr Hatorah. Shelley is a fellow of the American Academy of Pediatrics and Simma is a member of the American Academy of Family Practice. In addition, Shelley performs circumcisions at Medical City Dallas as well as ritual circumcision for the mitzvah of brit milah. He serves on the Medical City Bioethics committee, and the Neonatal Task Force committee, and just finished a term as Chief of Pediatrics. Additionally, Simma’s sister, Dr. Miriam Banarer, M.D. is a pediatric hospitalist at Medical City Dallas. 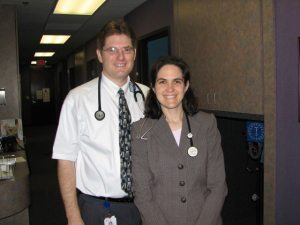 Miriam’s husband, Dr. Salomon Banarer, is an endocrinologist at Medical City Dallas as well. Simma’s brother, Chaim and wife, Katy, live in Israel. The Weiss’ take almost all insurances, from private, to Medicaid, to Medicare. For the 10th anniversary celebration, they plan to enter patients into a drawing as they come for their visits, and will plan fun and exciting prizes, from swimming lesson vouchers to books to music for children, and so much more. During my conversation with Simma and Shelley, I felt a very strong connection — a bond reminding me that those threads in my tapestry were brightened by the conversation reminding me of old memories and new ones. I am looking forward to a pizza tasting in the near future. I wish them the best as they celebrate their 10 years at Medical City and added mazel in the years to come. Mark Grishman of Cruise One reminded me that Truck Time is a community event for children and families of all ages. Vehicles of all types will fill the parking lot at Congregation Shearith Israel, along with bounce houses, VAAD certified kosher food, face painters, and more. Children are not only able to touch, climb, and interact with these vehicles (read: honk the horn! ), but learn all about them from the specialists who operate the vehicles daily. Young children and their families look forward to Truck Time all year! The event runs from 11 a.m. to 2 p.m. This year will mark the 11th annual Truck Time events, which accommodate almost 1,200 people from the Dallas area every year. It is open to the entire community, and attracts families from all different cultural and religious backgrounds. VAAD certified kosher food is available for purchase, which allows for families of all types to enjoy the event without worrying about lunch. The event opens early, at 10:30 a.m. for families and children with special needs. During this time, the trucks aren’t allowed to honk their horns, play loud music, or sound their sirens. This allows for a low stress environment, which is ideal for children, and families who want to enjoy the trucks without overstimulation. There is also a quiet room inside the building with books and toys for children who require a safe space. The Legacy at Willow Bend is opening its doors to view the Legacy lifestyle from 2-4 p.m. Wednesday, Nov. 5. Guests will have the opportunity to tour a variety of exclusive apartment homes and meet with some of the community’s current residents. Wine and hors d’ Oeuvres will be served. For reservations, please call 972-468-6208 to RSVP. The Legacy at Willow Bend is a Life Care community offering Independent Living, Assisted Living, Memory Care and Skilled Nursing. It is located at 6101 Ohio Drive, Bldg. A, in Plano. The website is www.thelegacywb.org. Linda Kahalnik tells us that RikuDallas will have a dance workshop next weekend. Do you enjoy Israeli music, dancing, and want to stay fit? 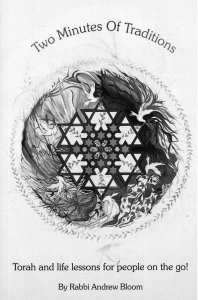 Then RikuDallas 2014 with guest master teacher Yoni Carr Nov. 7-9 is for you! Yoni will share with her warm smile and her love of Israeli Folk Dancing. She currently teaches two weekly dance sessions of Israeli Folk Dancing in Southern California. She also hosts two weekend workshops in September and February each year. Yoni has performed on Broadway, toured around the world as a soloist with the “Inbal” and “Karmon” Group and has 30 years of experience teaching Israeli Folk dancing and ballroom. You can join the fun for the whole weekend or just one part. Here’s the lineup: Friday Night Shabbat Dinner and Israeli Folk Dancing 7 p.m. to midnight; Saturday sessions 10 a.m. to 12:30 p.m. and 1:30 p.m. to 4:30 p.m.; Saturday night party, 8 p.m. – 1 a.m.; and Sunday session, 10 a.m. – 12 p.m.
For more information, contact Anita Friedman at afried51@yahoo.com or Galit Ribakoff littlewave1@gmail.com. For more than 40 years, folks have heard Susan Stamberg’s voice on National Public Radio (NPR), reporting on a variety of stories. She will soon visit Dallas to present a portrait of women who have inspired, broken ground and become leaders. Stamberg is the guest speaker at Shearith Israel’s SISterhood’s fundraiser that will take place at 6 p.m., Thursday, Nov. 13 at the shul, 9401 Douglas Ave., in Dallas. The event will begin with hors d’oeuvres, a silent auction and meet and greet with Stamberg, followed by dinner and the program. All money raised benefits countless community and synagogue programs. For the past five years, the SISterhood has brought in authors Sandra Brown, Anita Diamant, Emily Giffin, Jennifer Weiner and Jen Lancaster. This year, they wanted to try something new and unique, according to event Co-chair Cynthia Cohen. Cohen hopes to bring in a wide range of women over the next few years that have achieved much success, and Stamberg is the perfect person to start. The first woman to anchor a nightly news program, she has won several broadcasting awards. Over the years, she has conducted thousands of interviews with people like Laura Bush, Billy Crystal, Rosa Parks, Dave Brubeck and Luciano Pavarotti. Shearith Israel Rabbi Shira Wallach will deliver the d’var Torah that evening. 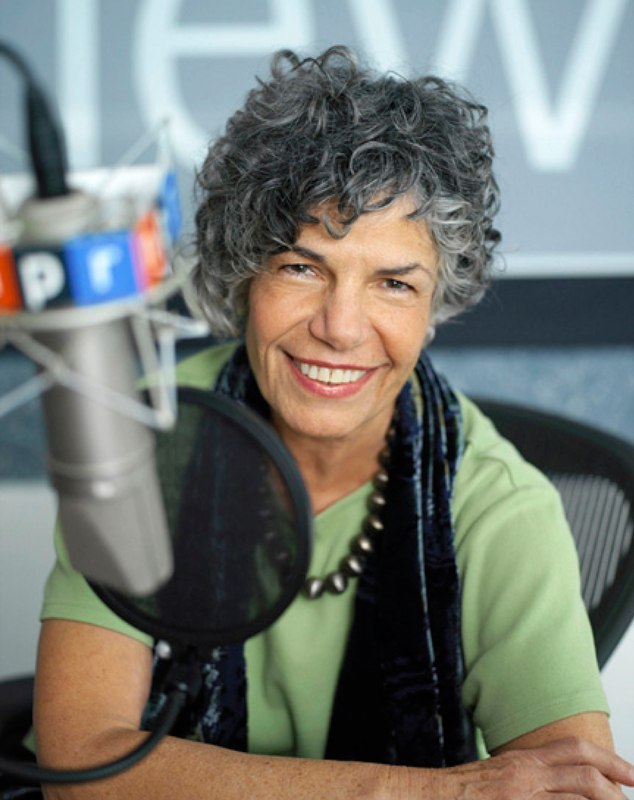 On a recent trip to Washington D.C., Wallach, a new listener to NPR, was intrigued by an exhibit she saw at the Newseum of women who broke ground in journalism. She said she is inspired by Stamberg’s work. Wallach and Stamberg also have something in common — both women attended Barnard College in New York. Tickets are $65 per person and sponsorships are available. Raffle tickets will be sold the evening of the event. Registration is required by Nov. 3. For more information and to RSVP, visit www.shearith.org or email Cynthia Cohen at cohen.cynthia@att.net. I have heard that you are the rabbi in charge of the Dallas mikvah, so I decided to address my feelings to you over the recent charges of voyeurism against Rabbi Barry Freundel from Washington D.C. The widespread outrage this has fostered and its effects cannot be underestimated; so many women who were users of his mikvah feel violated beyond words, and especially his female conversion candidates who feel the very rabbi bringing them into Judaism was perverting Judaism for his own lusts and gratification, besides their feelings of being violated. I, personally, feel I need some reassurance that such a thing could never happen in Dallas. I would also hate to think that the crime Rabbi Freundel allegedly committed would be a reason for them not to consider using a mikvah and thereby deny themselves the beauty of that mitzvah. All of my colleagues and myself share your outrage over what has allegedly transpired by a (heretofore) respected rabbi who misused his power to violate women in their most private and holy of times. We are all deeply embarrassed that this crime could have allegedly happened in even one mikvah out of the many thousands worldwide. This is a crime on many levels. Among the crimes which we cannot forgive is the breach of trust which he has effected in the minds of many. This may cause women to not trust rabbis who are completely and impeccably trustworthy, which may cause a breakdown in the crucial relationship between rabbi and congregant. My heart goes out to the many women who, rightfully so, feel so crushed by this breach of trust and have had their worlds shattered by this. I feel that events such as these are times for all of us to engage in deep introspection and take a fresh look at how we are “running the show” in our mikvaos. In Dallas, there are actually a few mikvaos. I am in charge of the halachic rulings of Mikvah Israel of Dallas, the central mikvah open to the wider Jewish community. The board and president of Mikvah Israel are all women of the highest caliber who pride themselves in the safety and integrity of our mikvah. Many safeguards are built into the mikvah and its ancillary structure to insure the highest degree of privacy, discreetness and dignity of the users. The mikvah’s cleanliness and presentation is paradigm. The dedicated mikvah attendants are trained for ultimate respect of each woman’s privacy as well as to provide their every need. A system is in place that no user should even be aware of who else is using the mikvah that night. A system of external cameras and door locks are in place to ensure the safety from any external threats. The list goes on. That being said, in response to the current above-mentioned alleged voyeurism, we are currently investigating independent sources, such as the Dallas Police Dept., who can periodically check the facility to ensure it to be free of any potential security breaches; as a public building we can never be too sure and want to take every precaution to ensure the complete safety and dignity of every user of the mikvah. We are also looking into other ways we can further enhance our mikvah structure and process, thereby providing an even more meaningful and joyous experience for the participants. I feel this is also a time to renew mikvah outreach and education — to “turn lemons into lemonade” — by disseminating the profound beauty of this mitzvah, which has so greatly enriched the lives of untold numbers of women throughout Jewish history. We are looking into programs to do just that, to combat darkness with light. This is with a prayer to the Al-mighty that those women who were violated should be cured of their pain and find it in their hearts to rediscover the beauty of this mitzvah. The follies of one man should not seal them off forever from the timeless beauty of a mitzvah through which they join hands with millions of Jewish women throughout the ages who have propelled themselves to incredible levels of holiness and closeness to their Creator, and may they rediscover peace and happiness in their Jewish lives. Each year, I make sure to comment on a very special “American” holiday. Oct. 31 is a holiday that we do not celebrate at most Jewish schools even though the religious aspects of the day have been long forgotten. Halloween is the eve of All Saints’ Day, which was also called All Hallows Eve. All Saints’ Day had its origins in 837 when Pope Gregory IV ordered the Church to celebrate a day in honor of all saints. Over time, the holiday focused on witches, death, skeletons, etc. Today, however, the day is very much an American experience for most of us. The roots of the day have long been lost, yet the debate among Jews continues. We want our children to have a positive Jewish identity and we, the adults in their lives, need to think and plan for wonderful Jewish moments to create memories and reasons to be proudly Jewish. Simchat Torah is my favorite holiday — I love that we celebrate Torah with dancing and singing. The celebrating is over but the best part is now — we begin again! It is like opening a favorite book again and again with everyone else doing the same all over the world. Reading the same book but learning something new each time is only possible with very special books and the Torah is the only one that has remained new for thousands of years — amazing! What will we find this year? I’m not quite sure how to explain that idea to kids (or adults) but Green continues: “We affirm the lesson of tzelem elohim, the truth that every human life is sacred. It calls us to boundless respect for each human life, a valuing of human difference and individuality and a commitment to fair and decent treatment for each person.” Daily I remind the children they are created in God’s image and that means that they are unique and important but they also must remember that everyone is also created in God’s image so every person is special and important and we must treat everyone with kindness. That is a message we should all carry with us at all times. Laura Seymour, is director Camping Services at the Aaron Family Jewish Community Center. After meeting several atheists who described themselves as “culturally Jewish,” reading an article about an atheist (describing himself as “formerly Jewish” and vehemently advising “Jewish atheists” to drop the “Jewish” part and just be atheists), and thinking back to a college class about Judaism in America where on the first day, the professor asked us if Judaism was a cultural, genetic or solely religious designation, I’ve begun to wonder what really makes a Jewish person? Judaism is cultural as well as religious, but most religions have a cultural and religious aspect. Still, Christians who become atheists are not described as “Christian atheists.” True, these formerly-Christian atheists might still celebrate their cultural holidays like Christmas, but many people celebrate Christmas as it has become its own, money-driven, only slightly-religious powerhouse — dominating our commercial sphere for what feels like half the year. For many, Santa Claus is the holiday’s deity. Does Judaism have a genetic component? Some groups of Jews do share similar genetic markers, but not all. The “mixed multitude” of Jewish people spans the world and there are genetic differences among them, not even counting the people who have converted to Judaism. Despite hearing assertions that one can be “half-Jewish” because of one parent or another, I don’t believe that Judaism is strictly genetic. (This is a topic that is passionately debated). There are known to be genetic similarities in various groups of Jews, such as Ashkenazic Jews, as they are known to be of higher risk as carriers of certain genetic diseases, and for this reason are advised, when two Ashkenazic Jews are contemplating marriage, to both be genetically tested to rule out the possibility they are both carriers of any such diseases (see related story on p. 5). Although this may be true, it has no bearing on their or any other Jew’s Jewishness per se. The true marker of a Jew is a spiritual one, not a genetic one. To claim that Judaism is a race is quite ludicrous, given the multitude of races within the fold of the Jewish people. The very fact that Judaism accepts converts states unequivocally that one need not have “Jewish genes” to be Jewish! This, then, leads us to your question: If Judaism is a spiritual and not genetic connection, how could those Jews who reject any spiritual connection to Judaism be considered Jewish? This is a very timely, as well as painful, question especially in light of the recent, much publicized Pew report which showed that over 30 percent of millennials identify as Jewish not based upon religion. Many, sadly, reported their connection was more through Jewish humor than through Jewish religion. Is, then, this growing population of non-spiritual, often atheistic Jews really Jewish? The answer, exclaims the Talmud, is a resounding YES! The Talmud comments on a verse in Joshua (7:11), which says “the Jews have sinned.” The Talmud derives from the wording of the verse which did not say “the nation has sinned,” but the “Jews” have sinned that a Jew, even though he or she sins, is still considered a Jew. The classical commentator Rashi explains that although a Jew may have sinned, the holy name of “Jew” remains upon him. The sages say that this applies even if a Jew didn’t only transgress a random sin, but even if they have rejected Judaism completely and become idol worshippers. This is borne out by the Code of Jewish Law which codifies the comments of many early authorities who hold that if a Jewish idol worshipper who rejected Judaism returns to Judaism, there is no need to “convert” them back to Judaism; they are already Jewish and simply strayed off the path; now they are back. As you asked, how is all this to be understood? If they rejected their spiritual connection, what makes them Jewish? Why would such a Jew not need to convert back to Judaism? The answer is, the mystical Jewish soul. When one is born Jewish or properly converts to Judaism, they are endowed with a Jewish soul. 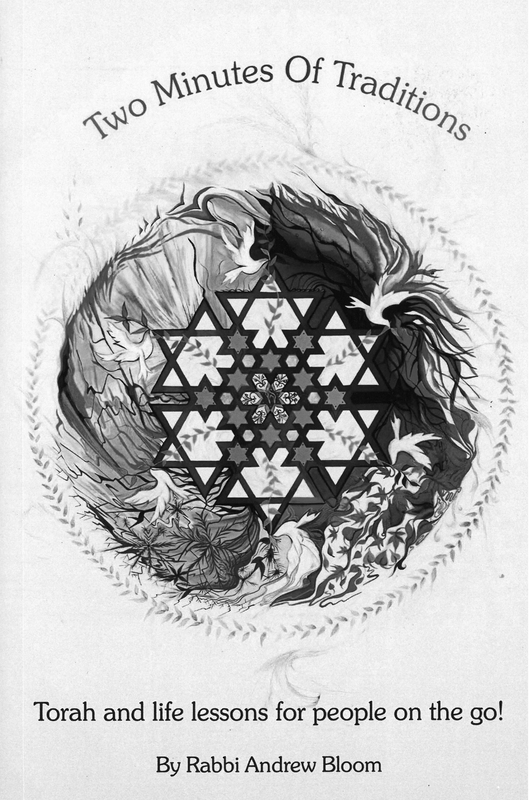 That soul is the essence of their being. Cognizant of it or not; like it or not, traditional Judaism believes it is the very fiber of both their being and their Jewishness. It is that soul, not their genes that connects them in a very deep way to all other Jews in the world, as well as being their link in the chain which connects them to their Jewish spiritual ancestors all the way back to Abraham. It is to the spiritual descendants of Abraham that God promised the Land of Israel, not only to those of his genetic progeny. This refutes the claims of anti-Semites who misuse the scientific research showing Jews are not necessarily genetically connected or from Middle Eastern descent to attempt to nullify the Jew’s historic claim to Israel. I agree with you that there is no such thing as half-Jewish, which is another subject but built upon the above as well; either one has that soul or not (like there’s no such thing as half-pregnant). I hope this answers your question. I was thrilled when Fort Worth photographer Loli Kantor wrote to tell me about tonight’s reception for her new book and exhibition. The Art Galleries at TCU will present “Beyond the Forest,” an exhibition of her works from her new book through Oct. 25. A reception featuring an artist talk and book launch will be held from 6-8 p.m., Oct. 23. For nearly a decade, Loli Kantor has documented Jewish life and culture in a range of urban and rural communities in Poland and Ukraine. What started as a personal project to research her own family history developed in scope to a broader engagement with the daily life of Jews in Eastern Europe in the early 21st century. By repeatedly returning to some of the same locations and meeting people over an extended period of time, Kantor developed a deeper understanding of Jewish life in these places. In the exhibition “Beyond the Forest,” Kantor presents a selection more than 40 color and black and white photographs that collectively combine personal biography and subjective documentary. The works keenly reflect Kantor’s desire to examine the impact of the Holocaust from a personal perspective as a daughter of Holocaust survivors. But she also goes beyond this private meditation to consider the wider effects of the Soviet regime on Jewish identity, traditions and communal daily life. Kantor was born in Paris, France, and raised in Tel Aviv, Israel. Her work has been exhibited widely in the United States and internationally, and is included in significant public and private collections worldwide, such as the Museum of Fine Arts, Houston; Lviv National Museum, Ukraine; Lishui Museum of Photography, China; and the Harry Ransom Center at the University of Texas at Austin. Loli lives and works in Fort Worth. Professor Jim Riddlesperger, longtime political science instructor at TCU, stood before 40 fascinated Daytimers at their October gathering last Wednesday. After munching on a Subway lunch, Riddlesperger talked current politics to his rapt audience. While making it clear that he did not make predications, he presented his thoughts about the upcoming elections. His comments centered on the race for Texas Governor, control of the U.S. House of Representatives and the potential effect of age groups, and minority groups in the current and future elections. He commented that the polls, at this time, seem to indicate that Davis is trailing at this point, and that the Republicans are likely to retain control of the U.S. House of Representatives. However, he also made it clear that this is what the current polls show, and is still subject to change, and then reiterated that he does not make predictions of election outcomes. An intense question and answer section completed the professor’s presentation and he has been invited back for October 2015. Next month, Wednesday, Nov. 12, Daytimers will dine on hot dogs with all the extras — mustard, sauerkraut, onions and maybe even some baked beans. Following lunch, they will move to the chapel, where they will listen to Broadway music presented by the Gold Tone Senior Choir, complete with musical accompaniment. The 90-minute program will include tunes from “Cats,” “New York, New York,” “Fiddler,” “Phantom” and lots more. If you would like to join them, you can call Larry Steckler at 817-927-2736 or go to the Beth-El website at bethelfw.org. The fee is $9 with lunch or if you would like to come just for the music program, $5. Whenever October rolls around, I think about a plethora of things — the promise of cooler weather — the festivals — gratitude and most importantly Breast Cancer Awareness Month. Growing up, breast cancer was something that was whispered about in very hushed tones or in Yiddish. We had not made the strides in research or “cure” rates that we have today. Women have put breast cancer research on the “map,” but actually it occurs in men, too. Before I continue with this week’s column, I’d like to suggest that folks grab their best friend and get a mammogram together. By doing so, we can ensure a better future for our children and grandchildren. On Saturday evening, Oct. 25, Angels of Dance, Inc. (a nonprofit foundation) will present its third annual Dancing for The Cure. The evening will commence at 8 p.m. at the Dallas City Performance Hall, 2520 Flora Street, in downtown Dallas. Tickets for the evening are $30 per person and can be purchased online at www.AngelsofDance.net or by calling 214-871-5000. The event is a dance show similar to the popular “Dancing With the Stars” and features both professional and amateur dancers. Proceeds from the event will support the search for a cure for breast cancer and will benefit the Susan G. Komen Foundation Dallas County Affiliate. By the way, there will be survivors of cancer dancing at this event. If you are unable to attend, there are other ways to contribute. Opportunities are available to sponsor the event, sponsor your favorite dancer, and/or make a donation in honor of a loved one. For additional information, visit the Angels of Dance website or email questions to Info@AngelofDance.net. Purchase of tickets is tax deductible. A note from Sandy Tabacinic and Dr. Carlos Nurko, of Homecorp Design+ Build and North Texas Orthodontic Associates, PA (Our Braces Make Smiling Faces) respectively who shared with TJP staff that they will be sponsors of Zumba® Party in Pink this Sunday at the Celebration Event Center, 2165 W. Park Blvd in Plano. Attendees will make moves in the fight against breast cancer. Registration is at 1:30 p.m. and the Zumbathon will begin at 2 p.m. Cost is $20 cash in advance or $21 Paypal or $25 at the door. Proceeds from the Zumbathon Charity Event will go to the Zumba Global Research Grant for Breast Cancer Prevention in partnership with Susan G. Komen. Instructors at the event will be Juan Carlos Garcia, Mini Gallegos and Kat Campbell. Additional information may be obtained at www.zumba.com , www.partyinpink.com facebook.com/zumba, or twitter.com/zumba. Opportunities to purchase Zumba wear will be available as well. For more information, contact Juan Carlos Garcia at 469-767-0066. Good Wishes to CSI’s organization, Makom, which has been named one of North America’s most innovative Jewish organizations in the 10th annual Slingshot Guide. The Guide has become a go-to resource for volunteers, activists and donors looking for new opportunities and projects that, through their innovative nature, will ensure the Jewish community remains relevant and thriving. Slingshot 2014-15 was released this week. Organizations included in this year’s Guide were evaluated on their innovative approach, the impact they have in their work, the leadership they have in their sector and their effectiveness at achieving results. Makom is proud to be among the projects and organizations honored for meeting those standards. These organizations are driving the future of Jewish life and engagement by motivating new audiences to participate in their work and responding to the needs of individuals and communities — both within and beyond the Jewish community — as never before. The newly formed Texas Jewish Arts Association will present its first juried art exhibition entitled “Bereshit” from 4:30-6:30 p.m. at the Aaron Family JCC. The organization has chosen “Bereshit” as the submission theme since this will be its debut exhibit in Dallas. Curator of the exhibition is Nancy Israel. This exhibition is open to the public and will be held at The Aaron Family JCC of Dallas from Oct. 26-Nov. 16. Among those artists showing their work are: Lynn Baskind, Marvin Beleck, Julie Meetal Berman, Roseline Bodiford, Lisa Ehrich, Jan Ayers Friedman, Ronna Gilbert, Kim Goldberg, Cary C. Gordon, Mary Beth Hickman, Della Isaacson, Veronique Jonas, Diana D. Krompass, Mark Kutler, Sara Miller, Nan Phillips, Stephen Potter, Pamela Rabin, Esther Ritz, Cynthia Schneidler M.D., Murray Stein and George Tobolowsky. Gallery hours will be Mondays-Thursdays, 10 a.m.-9 p.m.; Fridays, 10 a.m.-4 p.m.; and Sundays, 10 a.m.-6 p.m. In conjunction with the exhibition, the TJAA will sponsor a talk by Nancy Cohen Israel at 7 p.m., Thursday, Nov. 13. It is titled, “In the beginning… And Since then: a Walk through Jewish Art.” The lecture is free and open to the public. Do the Jews Have a Future in Europe? Stephan Kramer, director of AJC’s Office of European Anti-Semitism in Berlin, Germany, will speak on “Death to the Jews: The Rapidly Changing Dynamic in Europe” at a community event, at 7 p.m., Tuesday Oct. 28. The event will be held at Congregation Shearith Israel, 9401 Douglas Avenue in Dallas. Mr. Kramer previously served as secretary-general of the Central Council of Jews in Germany from 2004 until earlier this year, and as the council’s executive director from 2000 to 2004. He worked as a press secretary and as adviser on policy and government relations for the Conference on Jewish Material Claims against Germany. He has also served as the chief of staff for three different members of the German Federal Parliament (Bundestag). For more information about AJC or to RSVP, please call 972-387-2943 or email dallas@ajc.org. A panel of experts will discuss addiction issues at Congregation Beth Torah’s monthly breakfast program Sunday, Oct. 26, jointly sponsored by the synagogue’s Sisterhood and Men’s Club. The program begins at 9 a.m. at the synagogue, located at 720 W. Lookout Drive in Richardson. Hazel Alterman and Suzanne Minc will discuss personal issues related to addiction, and they will be joined by Carrie Stevens, a substance abuse specialist for the Plano Independent School District. The public is invited to the lox-and-bagel breakfast. The cost is $10, $7 for Men’s Club and Sisterhood members and $5 for students. A portion of proceeds will be donated to the Jewish Family Service Substance Abuse Program. For more information, call Congregation Beth Torah at 972-234-1542.